A stunning and original YA fantasy from a fantastic new talent. 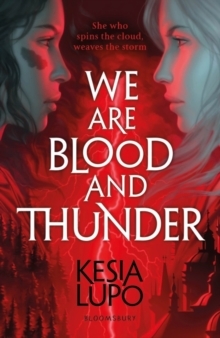 Perfect for fans of Leigh Bardugo and Laini Taylor'Deft, dark and daring' MELINDA SALISBURY'A stormer of a story' KIRAN MILLWOOD HARGRAVEIn a city where magic is feared and the dead are worshipped, life is overshadowed by a powerful and devastating storm cloud. One young woman is running for her life. Another is trying to return home. Both are looking for a place where they belong. But what Lena and Constance don't realise is that the storm cloud binds them. Without it, neither can get what she desires.